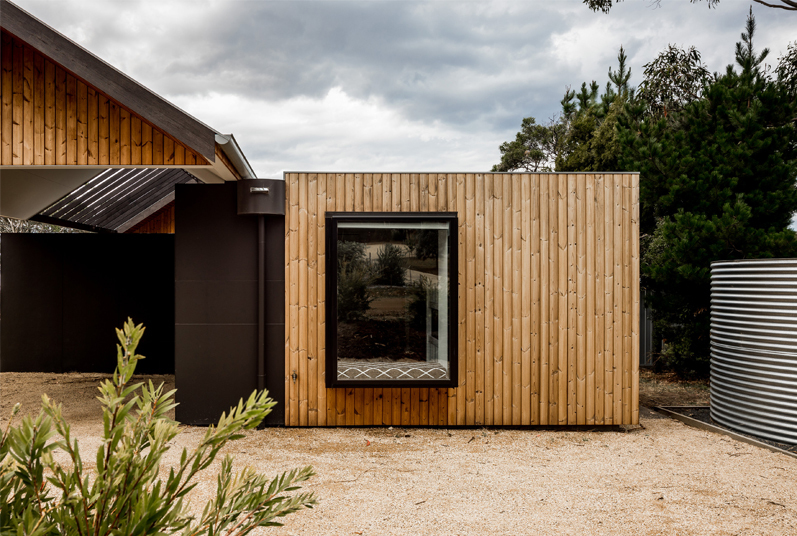 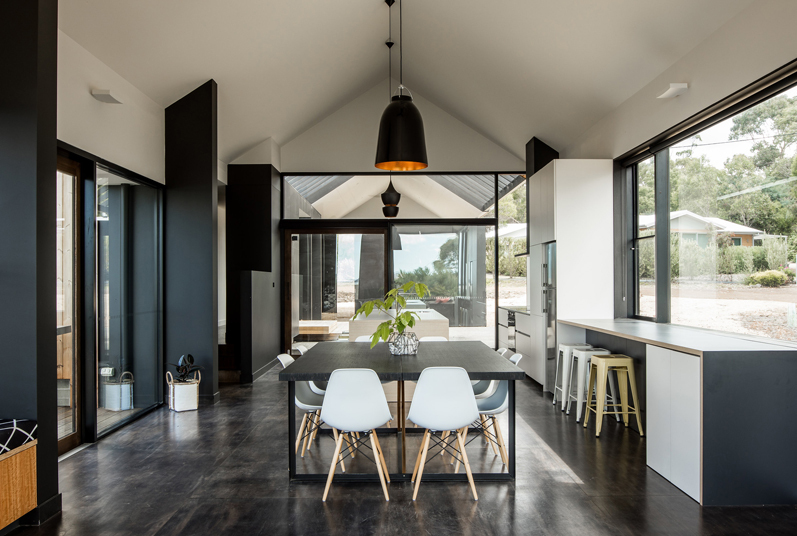 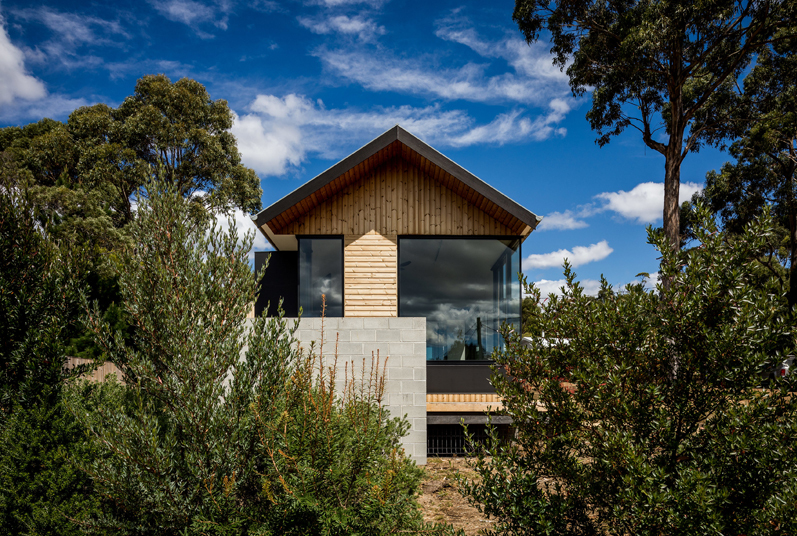 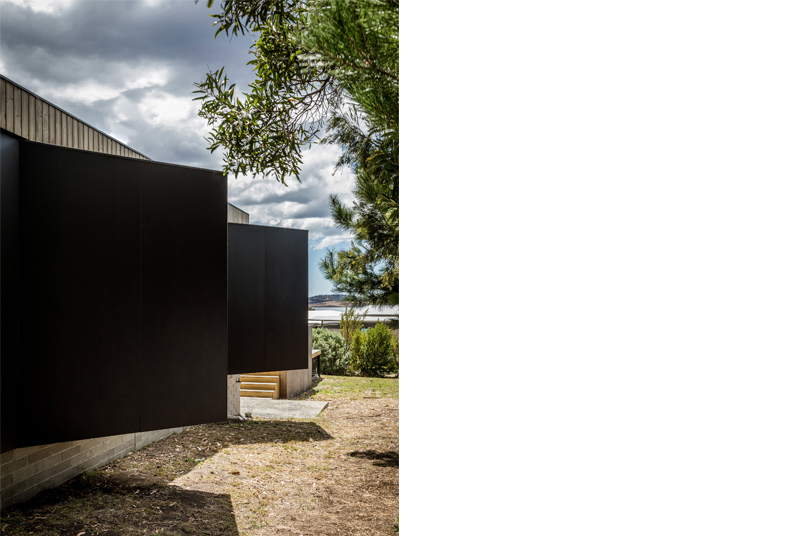 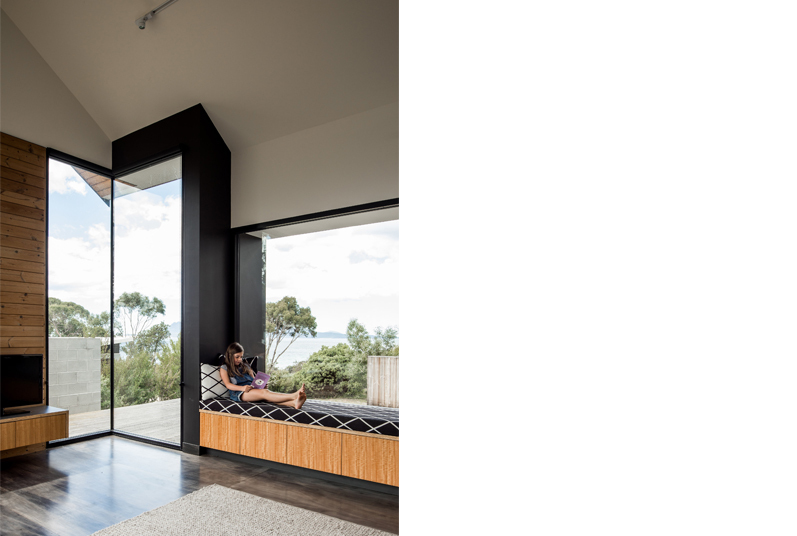 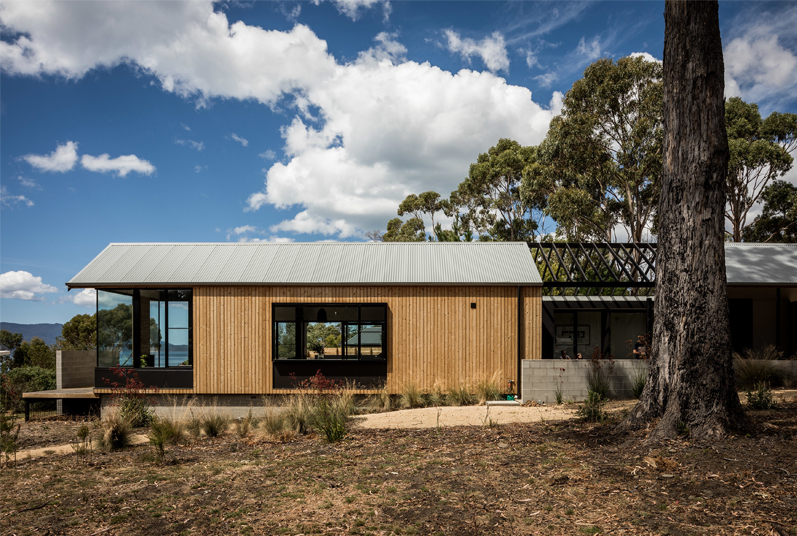 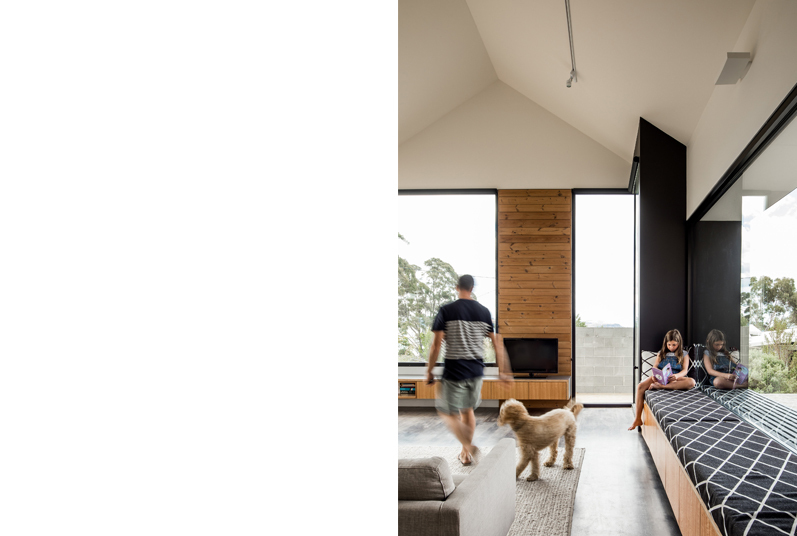 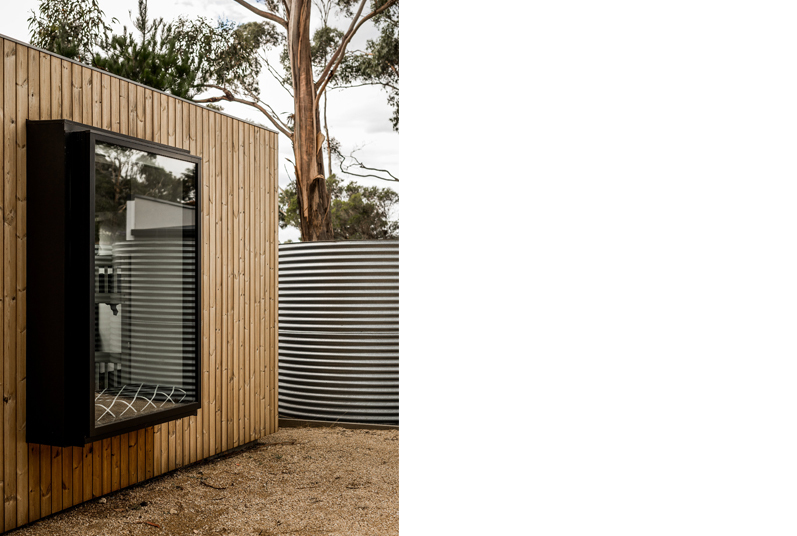 Located at Spring Beach on Tasmania’s East Coast, the house is shared between two families providing a gathering place for escape relaxation in the sun and also a place to enjoy the joys of growing families and the company of friends. 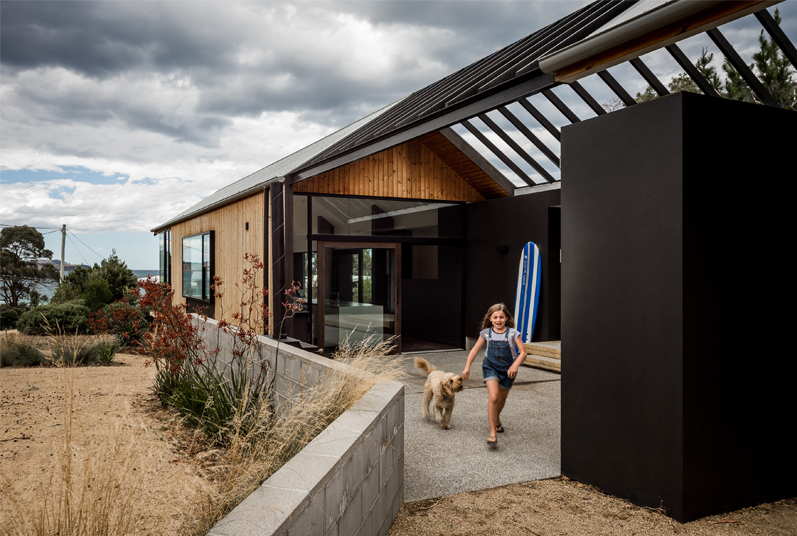 The concept for the project evolved from a pragmatic response to the site, a desire to capture specific views both to and from the house and from the challenge of accommodating two families and their needs within a modest footprint and budget. 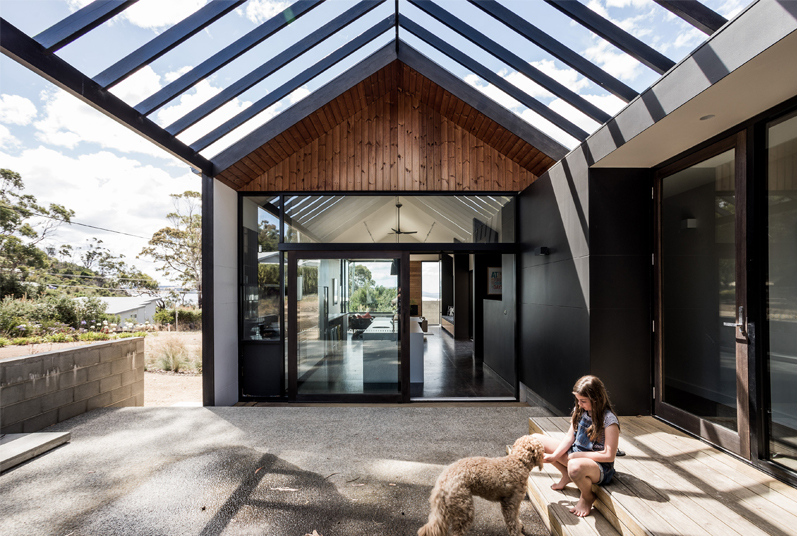 A main living pavilion, offset from the private bedroom pavilion, provides the focal point of the house, a place to gather, relax and enjoy the sun.